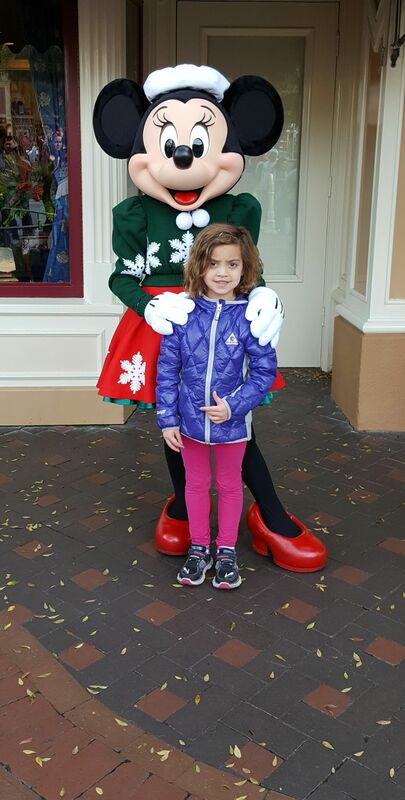 We made a “last minute” decision to go to Disneyland over Christmas. It was last minute in that we decided mid-November we were going to go, and that is last minute for us! We usually have months, and months to plan and save for our trips. 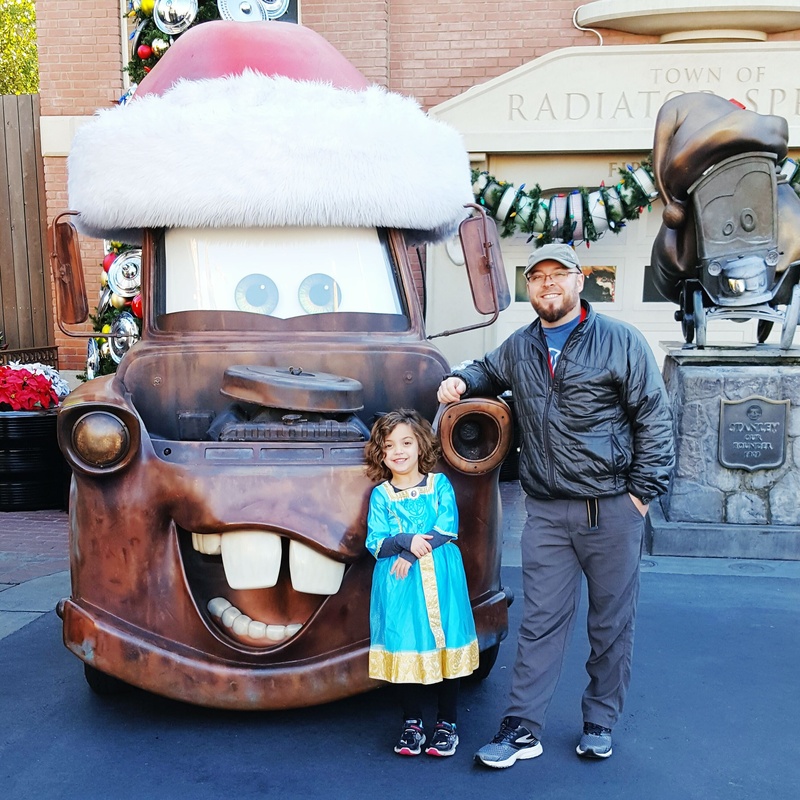 But, everything fell into place, Sky is the right age to buy into the Disney Magic 110%, and Mark and I wanted to get out of town…so Disneyland it was. 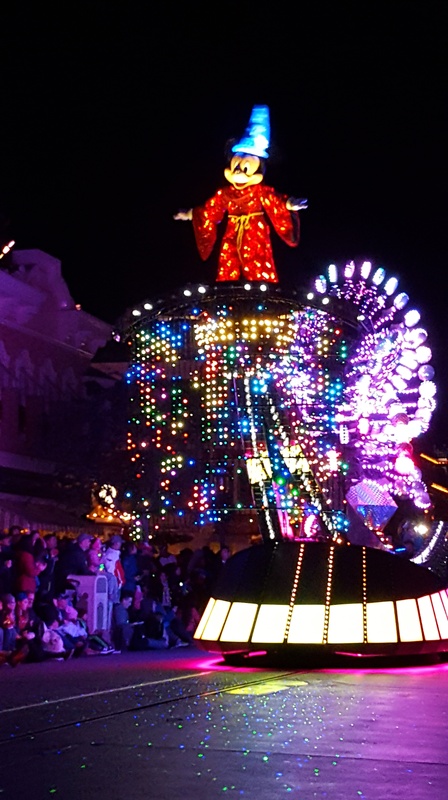 On our final night we stayed for the 6:30 Color The Night Parade…amazing! We had so much fun! 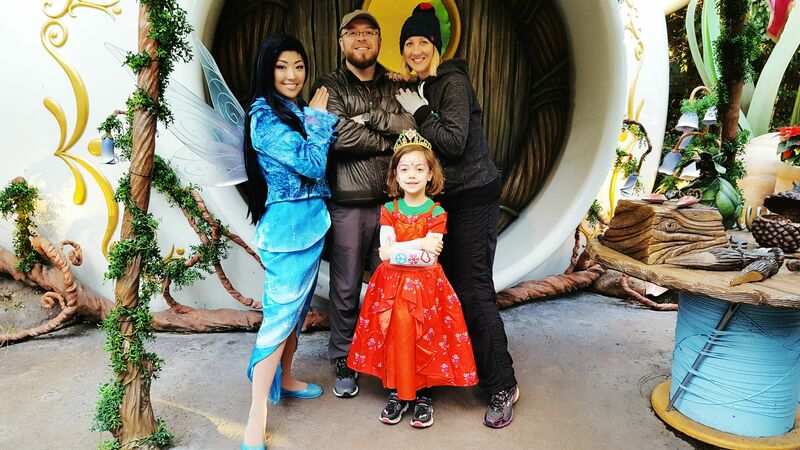 Sky loved every ride she went on, she waited in line after line to meet as many characters as she could, she was all about those autographs, and we enjoyed finding the quiet, out-of-the-way places like the Beasts Museum, Pixie Hollow, and the Royal Hall. 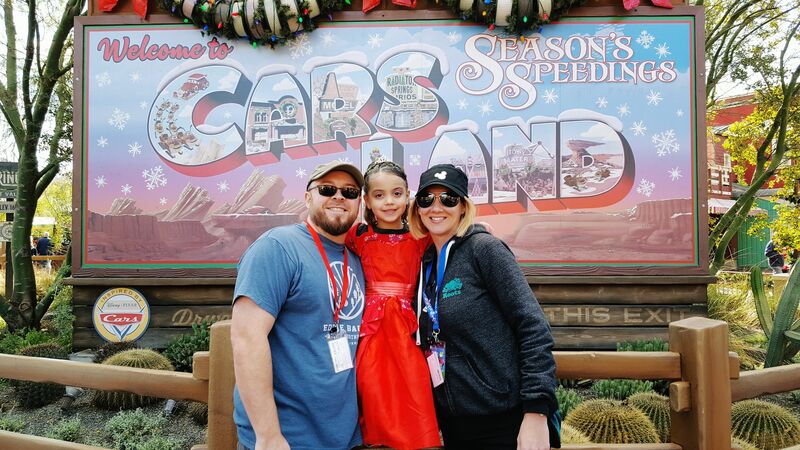 It didn’t really matter if we were going full speed, or chilling on the curb (for 2 hours) waiting for a parade, we all had a blast, and Sky handled the insane Christmas Day crowd and all the lines so well! -Don’t worry about seeing it all…you won’t. That’s what trip #2 is for! And, your kiddo(s) don’t know what they don’t know. They have no idea if they are “missing” out on something or not. 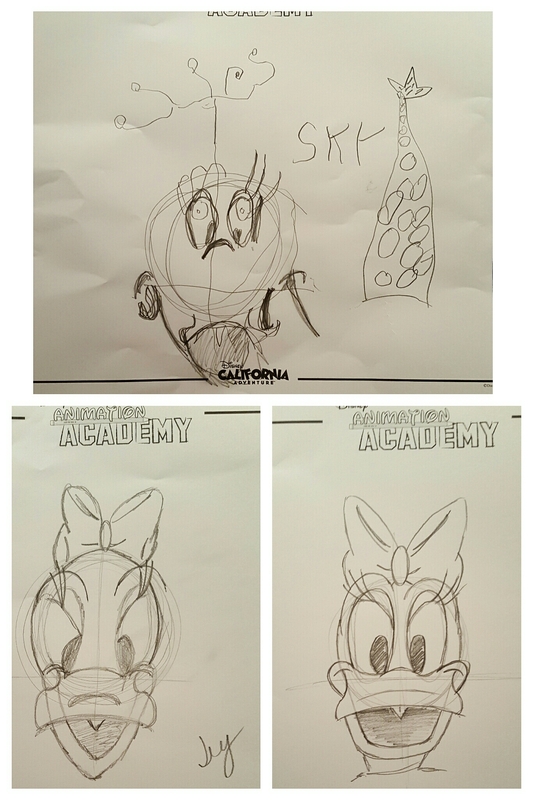 Animators Academy…so fun and Sky loved it! -Take time to slow down! Wait in line to meet characters, find out of the way things like the Animators Studio, The Beasts Library, Pixie Hollow, the Royal Hall. It’s all off the beaten path and gives you some less hectic time. 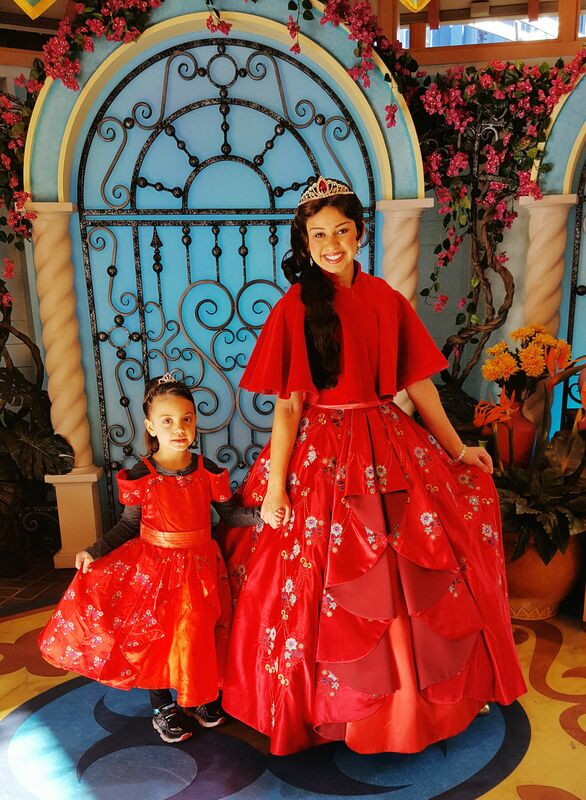 Meeting Elena of Avalor was extra special since that was the princess dress Sky used her own money to purchase. Elena took extra time with her to teach her how to twirl, and swish her skirt. So cute! -Hotels…there are so many options! We went the 10 minute walk from the park route and it was fine. 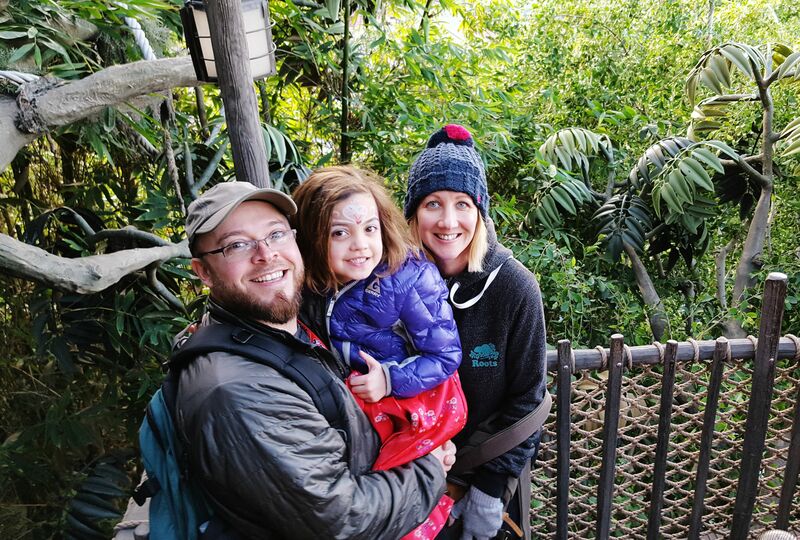 However, it was a lot of walking for Sky, so while we had planned on taking mid-day lunch/nap breaks back at the hotel (most of the advice out there says to do that), that didn’t happen. We quickly decided that powering through the day and heading back for dinner, and being done at that point, was the best way to go. Following the point above helped with that. When Sky was getting tired or frustrated we slowed down, found somewhere to sit for a bit and had a snack. We were in park every day from opening until 7 or 7:30. We missed some of the evening light shows/fireworks…but, she’ll be able to do that next time. Car’s Land at night, so cool! -Try and get a room with a microwave and a small refrigerator! This was a lifesaver. The last thing we wanted to do at the end of the day was deal with more people at a restaurant. Our first night we ordered in a ton of food and had awesome left-overs for dinner’s. We were also able to get all our breakfast foods, cold cereal, microwave oatmeal, hard boiled eggs, juice,water, and milk at 7-11. It was nice to be able to eat 2 out of 3 meals at the hotel in comfort. -Pack all your snacks/water and take it in with you…the price on those things is silly! But, do splurge on a churro! -Park Hopper – I have mixed feelings on this. Everyone told us to do it, so we did. We only park hopped one out of three days. Had we not had the option to do so we would have been fine. However, 3 day park hop passes come with one early entry day, and let me tell you that hour was amazing. Four rides in one hour, all rides that had crazy long lines the day before and/or couldn’t be fast passed. That last day being able to go back and forth worked out perfectly for us, and the food is less expensive on the Pier at Ca Adventure. So, I can go either way on this, it’s more pricey to park hop, if I wanted to save money I’d be ok doing single park passes for sure, but knowing we had the freedom to do whatever we wanted was nice. Like I said mixed feelings on this, and I don’t know what we’ll do next time we go. -Fast Pass is nice if you need it. We didn’t need it day one (Christmas Eve) or three (day after Christmas), the only day we did need it was Christmas Day. You can only do one pass every 2 hours, if you have park hopper you can do a pass in each park, but that would be a ton of walking back and forth and we didn’t bother with it. -Use the Disney App! I downloaded it as soon as the plain tickets were booked. I checked ride wait times throughout the day for weeks, and had an idea of what shows/parades there were. 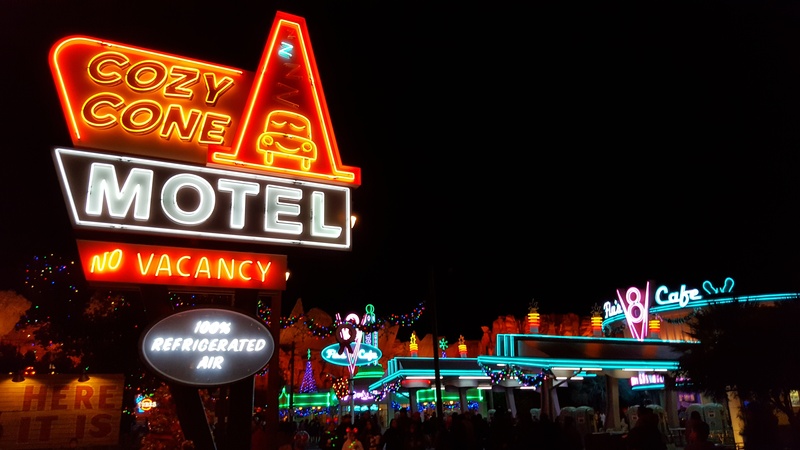 It helped to know the rides that had long (like 3 hour) lines, when I would see on the app that one of those rides had a wait of 45 min or less we booked it and felt lucky to get in shorter lines, and sometimes were able to get off and get right back in line! 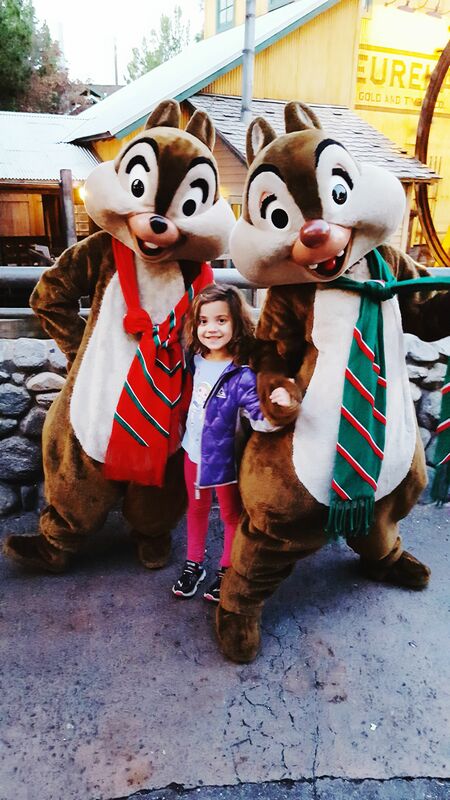 -Christmas in Disneyland. What can I say it’s truly magical! Christmas Eve the crowds were small, and we didn’t have to wait in line long for anything. 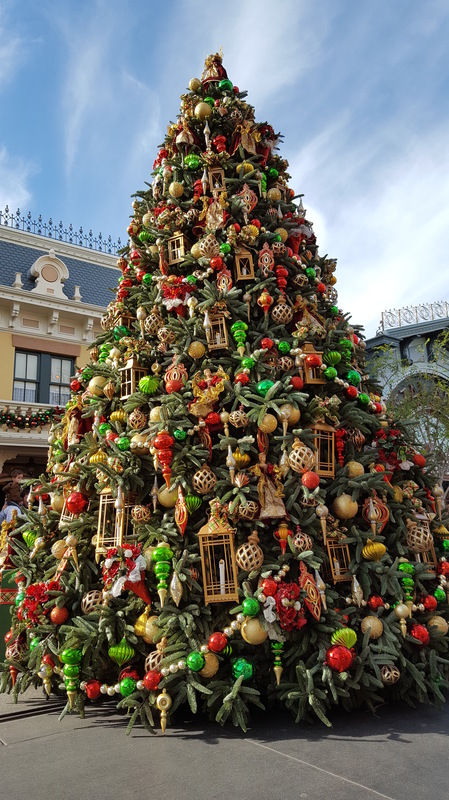 Christmas Day was a zoo, could hardly walk it was so crowded, the day after was again pretty small crowds and short waits. It’s a Small World and the Haunted Mansion are extra special during the Holidays, peppermint flavored snow on Main Street was pretty awesome, and I loved seeing all the Christmas Cheer. Even with the crowds Christmas Day I think it’s a great time to go! Sky was super star stuck with the characters! < Previous Hello to a New Year & New Goals!